i have explain 3 tabs UI and 3 pages. select each tab and touch open same page and swipe the tab via finger then page swipe the automatic in ViewPager. 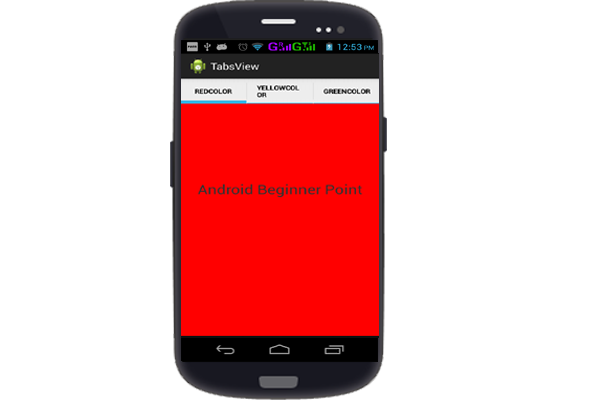 The ViewPager is a android wigets,the ViewPager used in activity_main.xml class. The content of our view read from the activity_main.xml class. that each Tabspac construct using a fragment. A simple factory return tab dummy view. here we add the tab this activity.we have used adapter class which extends FragmentPagerAdapter where the adapter view to tab.